Here's a Friday the 13th Special for you! 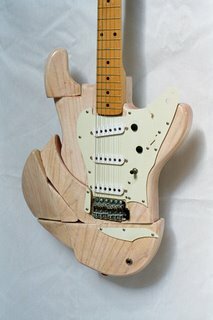 It's not simply a static art piece either folks-- this is a fully functional/playable guitar. In fact, it's pretty hot rodded too. 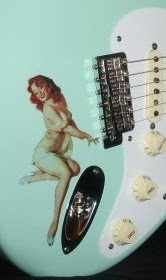 Read all about it at the website, as well as check out even more whacked guitars & amps. Have a safe day & weekend! I'm stayin' inside.